The Confined Space rescue capability for each fire brigade unit is determined by the policy decision of the Local Authority responsible for that locality. What are your legal requirements in relation to emergency arrangements for Confined Space? Regulation 6 of the Confined Spaces Regulations states that a person shall not enter a Confined Space unless suitable emergency arrangements have been made which are appropriate to the confined space in question. What must you do to be Compliant? Resources and arrangements for the rescue of workers in Confined Spaces first must be provided by the Employer. Prior to beginning any kind of Confined Space work, Employers MUST consider what can go wrong and provide the necessary resources to deal with such events – without immediate reliance on the local emergency services. The definition of a Confined Space is broad and a wide range of local circumstances and unique factors need to be taken account of in looking at each individual Confined Space. A person shall not carry out work in Confined Spaces if it is reasonably practical that it could be avoided. If the work must be carried out, Hazard Identification and Risk Assessments must be carried out prior to the work commencing. A person shall not enter a Confined Space, unless there is a system of work in place that has been planned, organised, performed and maintained so as to render that work safe and without risk to health. Anyone entering a Confined Space, must be provided with appropriate information, training and instruction appropriate to the particular characteristics of the proposed work activities. 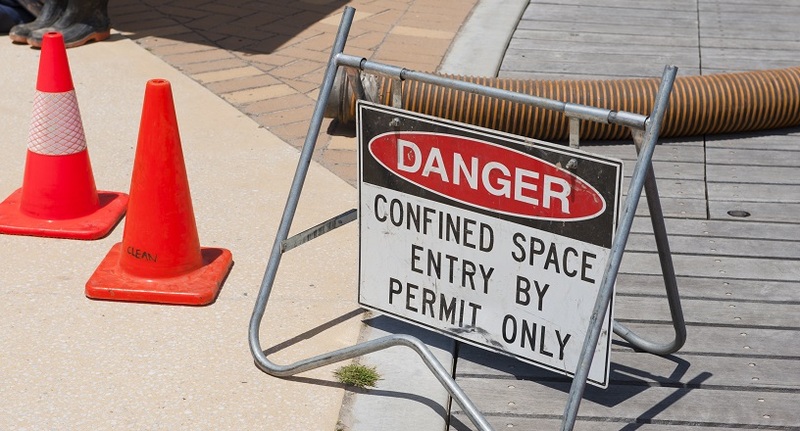 Confined Space entry work should not be taken lightly as the consequences of the activity going wrong can be fatal. It is an unfortunate fact that many confined space accidents are further compounded by lack of suitable resources, arrangements and trained personnel to deal with the ‘abnormal’ or emergency situations and further unnecessary injury and deaths are the result. The General Principles of Prevention from an avoidance of risk perspective state that avoiding entry into a Confined Space at all is a far more desirable course of action.